Rosie encounters trouble when she is wandering along a road looking for the road to Tilbury. Rosie comes to as sign and is confused. “Was that a B or a P? The word might be ‘Tilbury’” but Rosie was not sure. The sign pointing to the other direction had two words so Rosie thought that was not the right way as Tilbury was only one word. Rosie is a fictional character in four books by Anne Perry, Tudor Rose, Rose of No Man’s Land, Blood Red Rose, and Rose Between Two Thorns. Rosie is dyslexic but brave and resourceful. These books, part mystery, part adventure, and part history, would be an excellent choice for a gift for a girl with dyslexia. I would like to have written the phrase “for a young person with dyslexia.” However, an observation by J.K. Rowling, author of the immensely popular Harry Potter series, is relevant here. When a 12-year-old girl asked J. K. Rowling why did she make the central character in the Harry Potter books a boy and not a girl, she observed that boys and girls read books about boys; boys do not read books about girls. This observation may be an overgeneralization but, unfortunately, there is a lot of truth in it. Perhaps as we become more aware of the sexism within our society, this imbalance will change. There is a series of books about a boy struggling with dyslexia. The Percy Jackson series by Rick Riordan. Percy’s swash buckling exploits should satisfy any child’s desire for adventure. Although these books are well written and entertaining, they are not merely stories. Children can learn a lot from them. 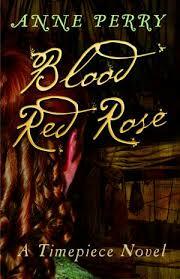 The Rosie series by Anne Perry vividly brings history to life and anchors it in the world of child. The Percy Jackson series makes Greek mythology exciting. These books may be too difficult for some young people, especially those with dyslexia, but reading them aloud will help children with reading difficulties understand that they are not alone in their dyslexia. There are other books featuring dyslexic characters. 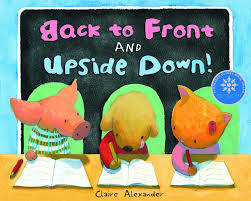 Here are some of them: Back to Front and Upside Down by Claire Alexander, Close to Famous by Joan Bauer, Eleven by Patricia Riley Giff, and Hank Zipzer: The World’s Greatest Underachiever by Henry Winkler and Lin Oliver. 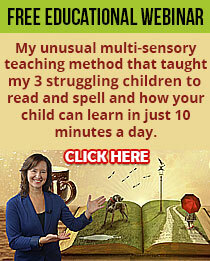 The following website lists some others: dyslexia.yale.edu/EDU_YPbooks.html. Comic books or graphic novels are a wonderful gift for a young person. This material will encourage reading. Parents and teachers may think that this type of material is inferior to books but it is not. The content is often quite good and so are the illustrations. There is less print on each page, which makes it less daunting for an individual with reading difficulties. Magazines and books about subjects that interest a young person can be useful and fun. Whether it is motorcycles, mountain bikes, mountain climbing, music or anything else where there is a passionate interest, print material can be engaging and informative. Board games are fun and encourage reading, through the use of cards, instructions, and print on the board. We read for enjoyment and to gain information. When children do not read very much because of dyslexia they can lose out. There are some solutions to this problem. Audiobooks give children the experience of hearing and enjoying and learning from the book without the struggle of reading. One of the best situations is when they can listen and follow along with the print. DVDs can be very informative also. Dinosaurs, penguins, the Great Barrier Reef are just some of the exciting and vivid sources of information. Parents and teachers may worry that exposure to this visual material will discourage reading; just the opposite is true. Vivid visual images and exposure to the ideas and vocabulary of a subject will encourage the child to learn more about it and probably become more equipped to handle the print material in that area. A wonderful present for a child with writing problems is a recording device that allows them to tell a story or a book report or a composition. They can record their ideas instead of laboriously writing them down. In this way, their teacher can hear the quality of their ideas. Another very useful gift is speech recognition software that recognizes the spoken word and types it on the computer. In my experience, this software is most useful for young people in high school and university. It does require some patience and developing skill in using it so it is not a magic solution. Many young people with dyslexia are gifted musically. However, many of them cannot read music but can play by ear. Giving them a musical instrument and/or music lessons is a wonderful gift. In my experience, dyslexics want to play the guitar or the drums because reading music is not essential or even particularly useful for these instruments. Although reading music is a useful skill, if a child is interested in a musical instrument, learning to play it should be encouraged and playing by ear is an amazing talent. Gifts such as those described above can help develop language and reading skills. Equally important they can develop a sense of self-esteem. Helping the child recognize his or her gifts and talents may be the biggest gift of all. The author: Linda Siegel is a recently retired professor of Educational and Counselling Psychology and Special Education from the University of British Columbia in Vancouver Canada. This article written by Linda appeared online in Connections, a publication of the International Dyslexia Association, in December, 2014. It is reprinted with the permission of the International Dyslexia Association www.interdys.org. Linda Siegel is the author of ‘Understanding Dyslexia and Other Learning Disabilities’ published by Pacific Educational Press (http://pacificedpress.ca/?p=3597) and also available on Amazon.